I've only been on this site for a week, but I've noticed that an awful lot of questions that should go to ELL go to ELU. 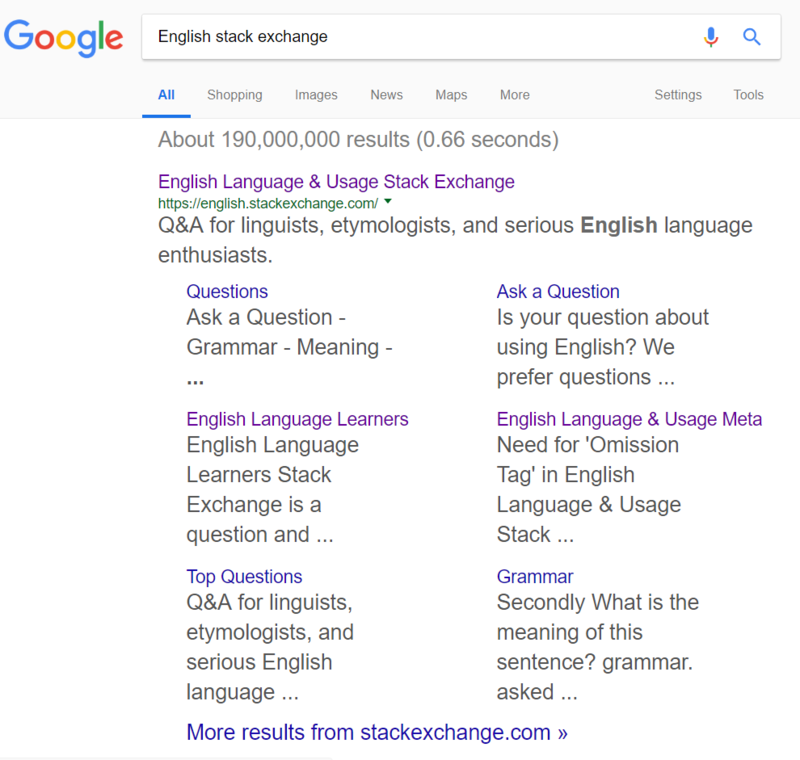 I also notice when I google: "English stack exchange" that the first hit I get is ELU. Beneath the ELU heading a number of subcategories are then listed; English Language Learner;questions; ask a question; word usage; single word requests and a couple of others. My point is if I were learning the English language and had a question, my instinctive response would be to click 'questions' rather than ELL. But then I land at ELU, which isn't necessarily appropriate. I'm not a techie, but wonder is there some way to fix it so that ELL is not listed in the top google hit as a subcategory on the same level as questions (which are ELU questions).